Everton owner Farhad Moshiri has insisted the club is still behind Marco Silva despite a recent run of poor results. The Toffees currently find themselves in a rut, having won just one of their previous four matches, and were most recently defeated 3-1 at home to Wolves. They have also found themselves falling down the Premier League table at an alarming rate and are now languishing down in ninth. Naturally, the pressure is beginning to build on Silva, but Moshiri has opted to publicly back the Portuguese manager. ​"It is a project. 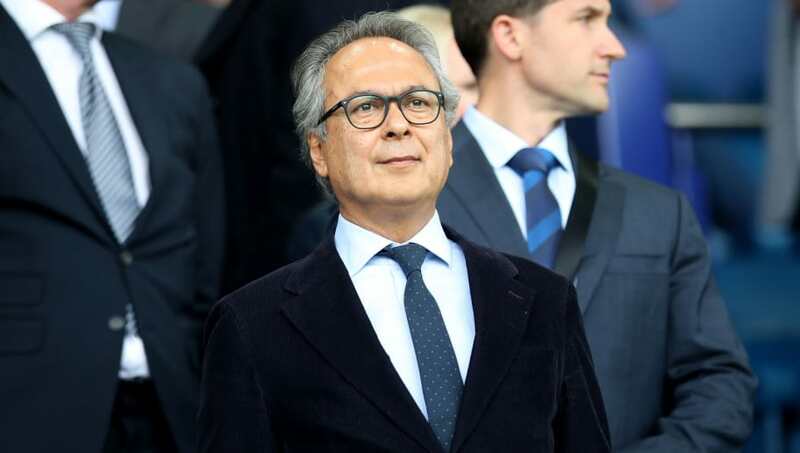 The ​Everton fans quite rightly demand young football," Moshiri told talkSPORT, as per ​Sky Sports. "We want young players to develop - they need to play. Marco Silva is a talented coach but he's planning long-term. "He will coach and develop those young players and every year those same young players will become stronger. In this business, you have to hold your nerve." "Marco Silva needs time to get things going” #efc@IanWright0 is urging patience from Everton fans. Silva has also responded to those comments in his pre-match press conference ahead of Everton's game against ​Manchester City on Wednesday evening, suggesting that he is not surprised by the support he has received. "It's something I've felt since the first day I joined the club," Silva said, as per the ​Liverpool Echo. "This is nothing new in our club. If you look at the last three seasons at Everton, it's something you listen to not every week but almost every month. I'm here to talk about the present and nothing more.